Calypso Theme Water Park is the largest Canadian aqua park, which is situated in Limoges in an hour’s drive from Montreal. Calypso covers the area of ​​100 acres and can accommodate more than 12,000 visitors at once. This is an excellent resting place both for young people and families with kids. 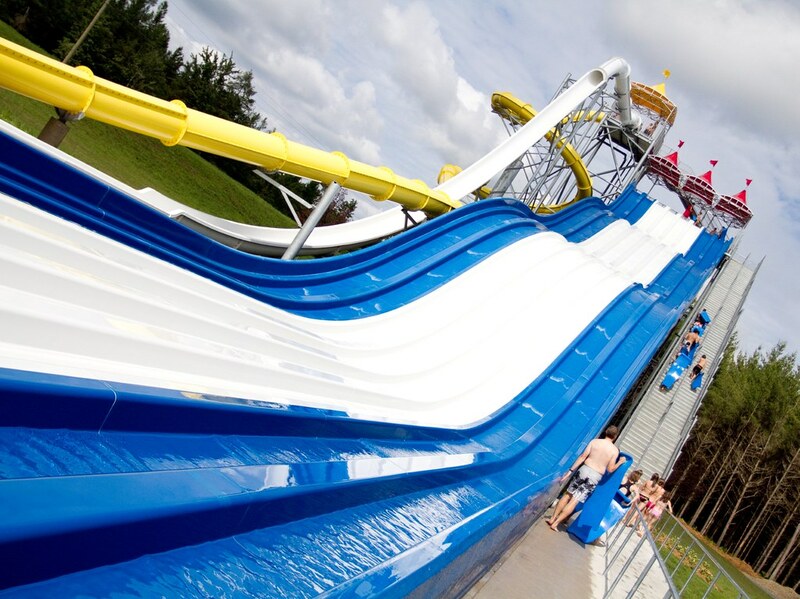 You will find there a variety of water attractions – excellent slides of different complexity, swimming pools and much more. The water is filtered every 90 minutes, and its temperature is maintained at approximately 27°C. The territory of the water park provides everything necessary for a comfortable rest – restaurants, bars, a spa and several shops. There is also a special area for picnics and the so-called ‘Hawaiian beach’. The most popular attraction is, perhaps, the ‘Calypso Palace’ – a huge wave pool. With the area of ​​about 5000 square meters and the capacity of 2,000 people, this is one of the largest swimming pools in North America. Also, there’s so-called Tower Summit – the largest water slide in North America with the height of 28 meters. However, such attractions as ‘Adrenaline’, ‘Black Hole’, ‘Canyon Rafting’, ‘Boomerang’, as well as ‘Pirate’s Aquaplay’ and ‘Jungle Run’ will also impress you. Super Aqua Club is situated in Pointe-Calumet, just 25 kilometers away from Montreal. This is another place for an active open-air summer holiday for the whole family. Super Aqua Club provides water slides for the visitors of all ages. There’s a huge pool in the center of the water park, which is made in the form of a lake. The water park is always crowded on weekends, so if it’s possible, plan a visit on a weekday. Although the park features restaurants, you can bring your own food. Super Aqua Club is a favorite place for active family holidays both among Montreal locals and the visitors of the city. 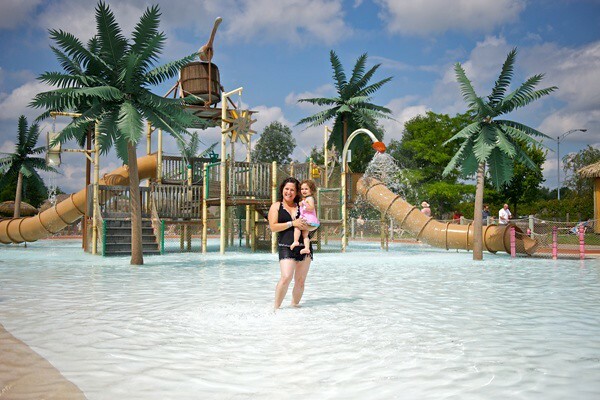 Saint Sauveur Aquatic Park is located just 50 kilometers away from the center of Montreal. Built at the foot of a high mountain, Saint Sauveur impresses with its size and originality. Open-air pools of the water park are made in the style of mountain lakes, with stones in the form of cliffs and stone steps. During the summer season, it offers 25 water attractions in the form of slides of various configurations and amazing waterfalls. It’s forbidden to bring food to the territory of the water park. But this is not necessary: ​​there are several bars, cafes and an ice cream shop. On the territory of the water park there is a campsite where you can put up a tent, as well as wooden cottages for a long family vacation. 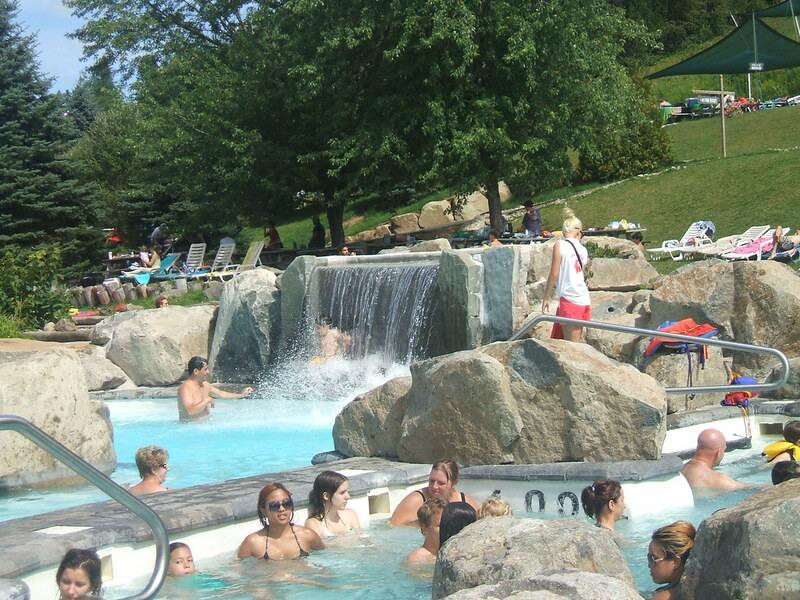 Water Park in Bromont is placed on the territory of the famous Ski Bromont winter resort. You can sunbathe or enjoy the waves there, but there are many other ways of entertainment in Bromont. The choice of refreshing pools and slides is so great that it’s hard to decide where to start! Children will certainly like stormy descents in the pipe or rafting. Water adventures along the ‘Congo River’ or in the ‘Country of Elephants’ will also satisfy them. For adults, there is an opportunity to turn into Tarzan, then cool down in the ‘Grand Canyon’ or relax in the ‘Great Lagoon’. Waterpark at Zoo Granby is another destination for a summer relaxation. It offers a large swimming pool with sea waves, Amazon-themed water slides and the ‘Adventure River’. Undoubtedly, you will like the attraction with the water volcano called ‘Hurakan’. 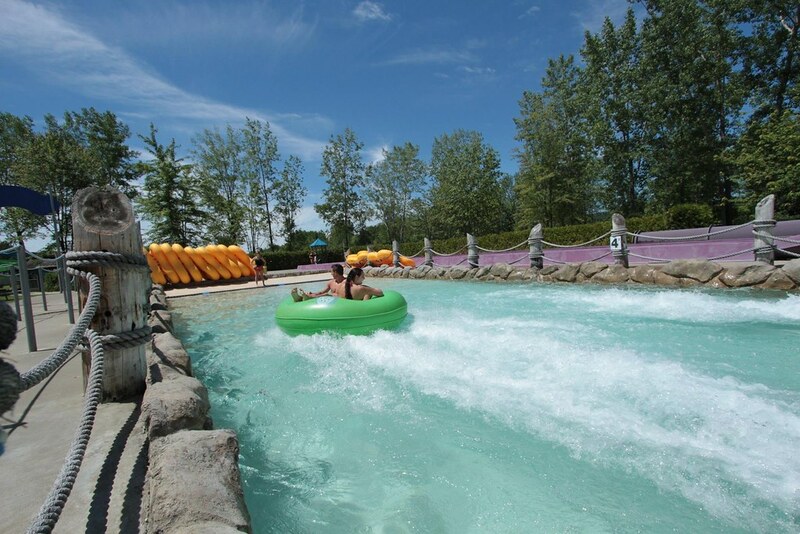 Aquazilla is a thrilling water attraction located in Jean Drapeau Park in Montreal. It gives the opportunity to participate in a water competition for the whole family. However, this is not as easy as it seems. A unique inflatable structure (30×35 meters) consists of obstacles, slides and platforms for jumping into the water, a trampoline, a springboard and many others. In 2016, a rocking bridge and 4 new platforms for jumping were added. Take challenge with your family and friends and go through a difficult path across all platforms! Water parks are a great way to have fun and relax in Montreal. Unfortunately, they are available only in summer. So, if you like various water entertainments and going to visit Montreal in the warm season then don’t miss an opportunity to try waterpark relaxation. By the way, you’ll need to rent a car in Montreal to get to these aqua parks.